Maintaining an aquarium is one of life’s pleasures. To have a small snap shot of the natural environment in one’s living area has been shown repeatedly to be good for one’s health. As such you want to have healthy fish in your aquarium. Understanding the diagram below and how you can affect the three ‘circles’ (Host, Pathogen and Environment) is one of the keys to maintaining healthy fish. Where the three circles intercept disease can develop, which you obviously do not want for your fish. The “Host” refers to your fish or aquatic invertebrates. 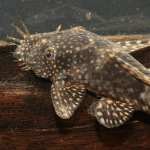 The genetic makeup of the fish you have cannot be altered. However, the food that they are given will have a major impact on their immune system. Fish have an immune system that is remarkably similar to ours and the saying “You are what you eat” applies to fish as much as it does for us. 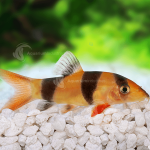 So providing the best quality food to your fish – either flake, granules, fresh or frozen is essential. So often I see people spend a lot of money on equipment and fish and then get the cheapest food possible. Always look for a food that is fortified with vitamins and minerals, especially Vitamin C as this has been proven to be an excellent immune stimulant in fish. The “Pathogens” are the bad bugs – viruses, bacteria, protozoans, flukes and other worms (we will cover these in more detail in further articles). 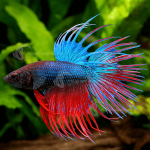 The best way to manage this is to buy fish from a reputable supplier and where possible isolate the fish in a quarantine tank before adding them to an established tank. 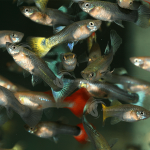 The timing for quarantine will vary depending on the pathogen type that your fish is susceptible to. The “Environment” is the main factor over which you have control. There are many factors that make up your fishes environment. Any problem with the environment will place the fish under stress and just like you it can lead to the production of stress hormones. How many times have you been tired and overworked and suddenly become very ill with a cold or flu? All this is due to a suppressed immune system from increased stress hormone levels. Fish are exactly the same. 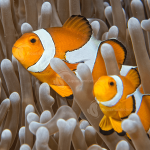 The main part of the aquarium environment is Water Quality. It is important to know the ideal or perfect water quality parameters of the fish that you are keeping. 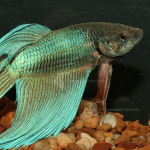 This is more important with freshwater fish, which may come from a vast array of different environments; the water parameters may be very different particularly with respect to pH and General Hardness requirements such as soft acidic water or hard neutral waters. These water parameters will be discussed in more detail in a further article. 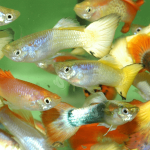 Other environmental factors include lighting (both the intensity and the hours of dark and light), noise and vibration, interaction between fish or ensuring that the fish you keep are compatible, the stocking density or number of fish kept in the tank and the capacity of your filtration. 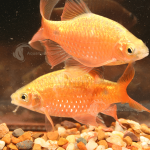 So your responsibility is to maintain a good environment for your fish and feed them properly and then you will have a healthy aquarium that you can relax and enjoy. 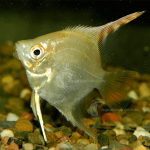 ← Why Do Aquarium Fish Need To Be Quarantined?